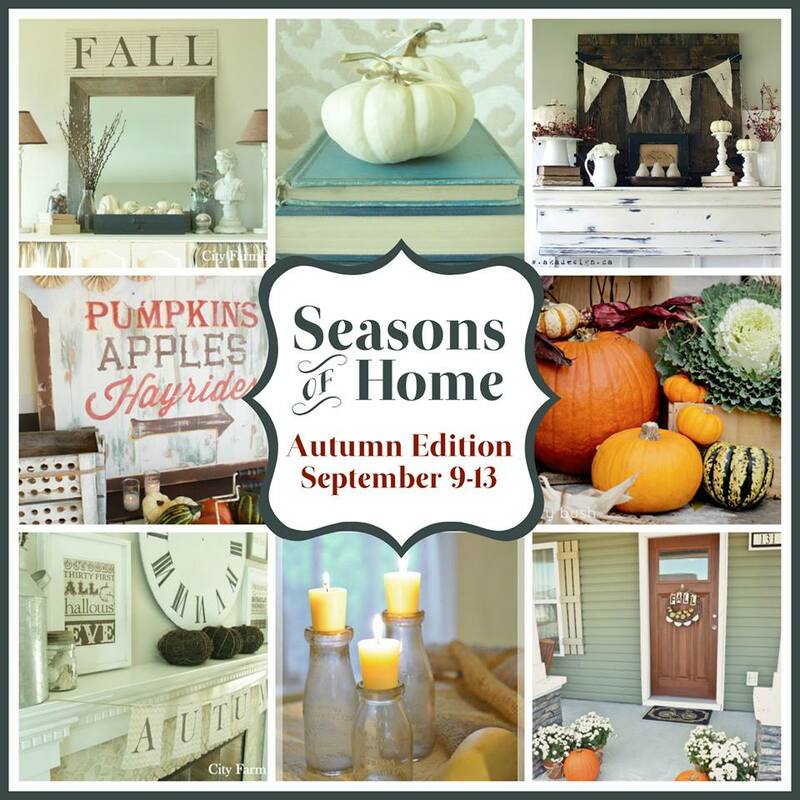 Six bloggers are coming together September 9th – 13th to celebrate the Autumn Edition of Seasons of Home! Our goal is to inspire you and get your wheels spinning as you turn a decorative eye to the fall season. All week you can visit autumn-inspired posts from these bloggers (myself included!) 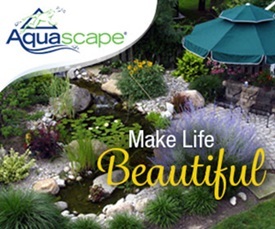 and hopefully find something to apply to your own home and decor. 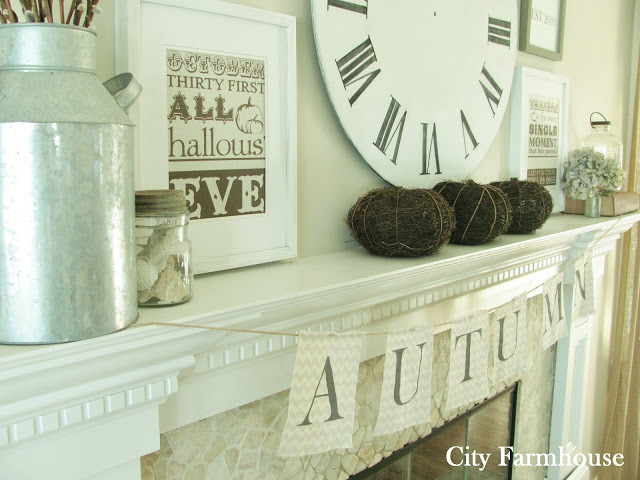 Jen at City Farmhouse shared her lovely fall mantle last year and I know she’ll work her autumn magic again this year! 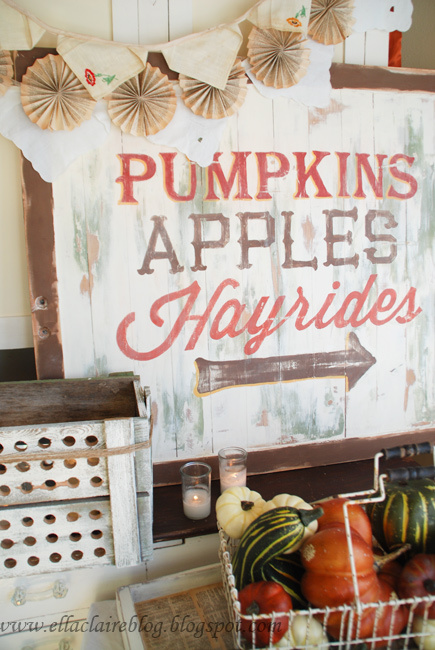 I’ve long adored this autumn sign by Kristen at Ella Claire Inspired. I can’t wait to see what she brings to our Seasons of Home – Autumn Edition week starting September 9th. This is Shannon’s fall mantle from 2012. 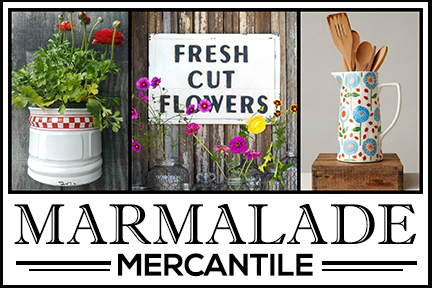 She’s a creative soul who blogs at AKA Design and I know she’ll bring something fabulous to Seasons of Home. Shannon won’t disappoint! 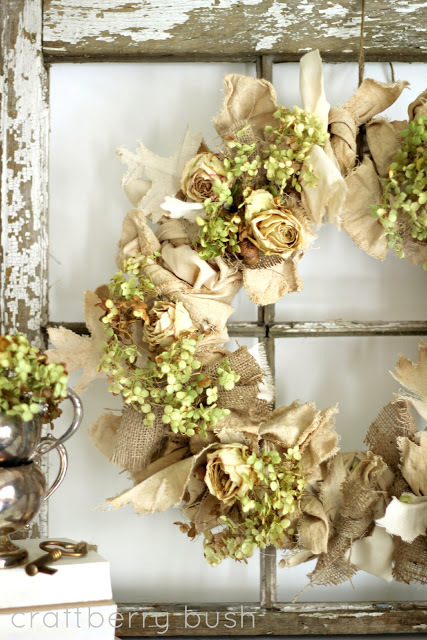 Isn’t this burlap and hydrangea wreath beautiful? Lucy at Craftberry Bush made it last year. Her creative skills never cease to amaze me. That girl has mad skills!! I can’t wait to see what she whips up for this year’s Seasons of Home week. 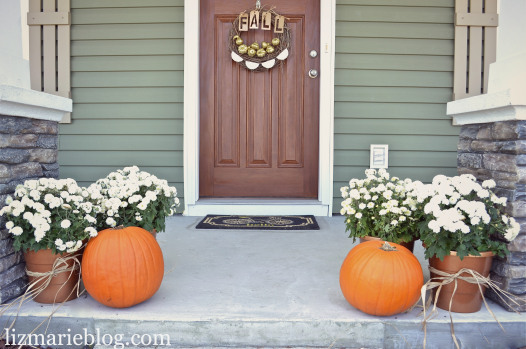 Liz Marie created a pretty porch entry last fall. 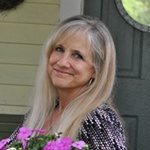 She shares instructions for the planters at Liz Marie Blog. Her blog is chock full of beautiful things all year round! 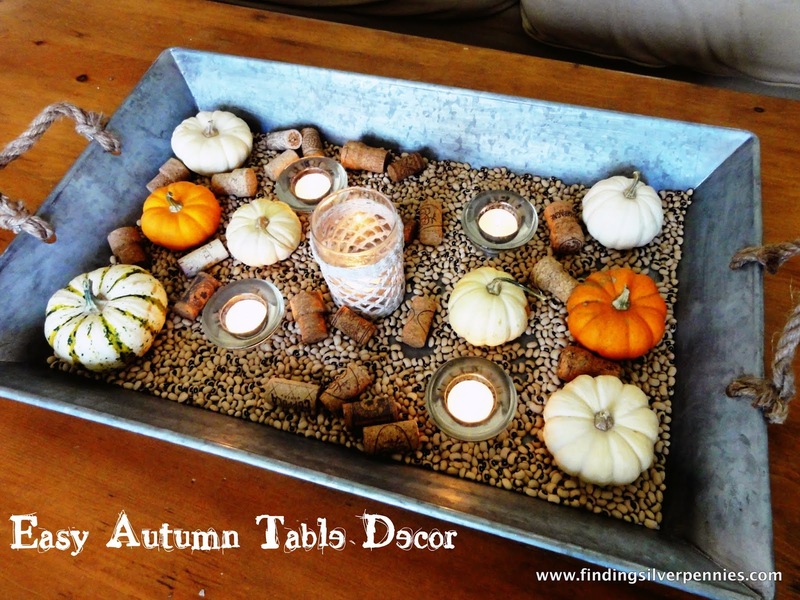 This beautiful autumn styled tray was created last year by Danielle at Finding Silver Pennies. I love how she added wine corks – I have a bunch I need to get rid of and this is giving me ideas. 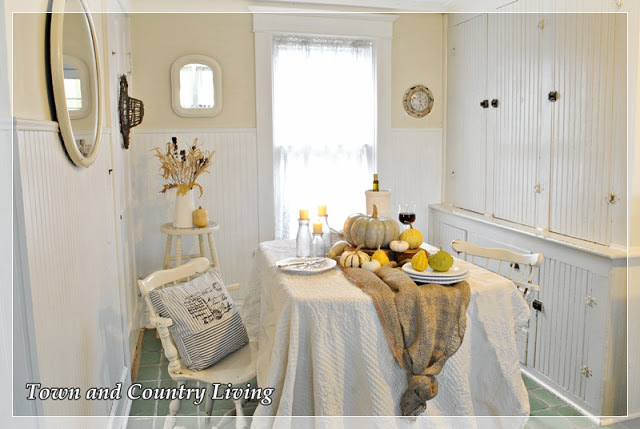 And finally, I shared a fall tablescape last year from my kitchen dining nook. I love decorating with lots of gourds when autumn rolls around. 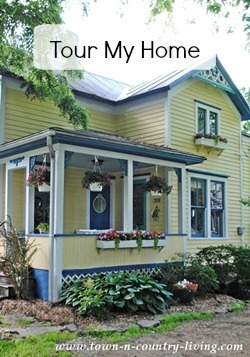 I’ll be sharing my Seasons of Home – Autumn Edition post on Tuesday, September 10th. Be sure to stop back for all the fall inspiration! I can’t wait! I need inspiration! 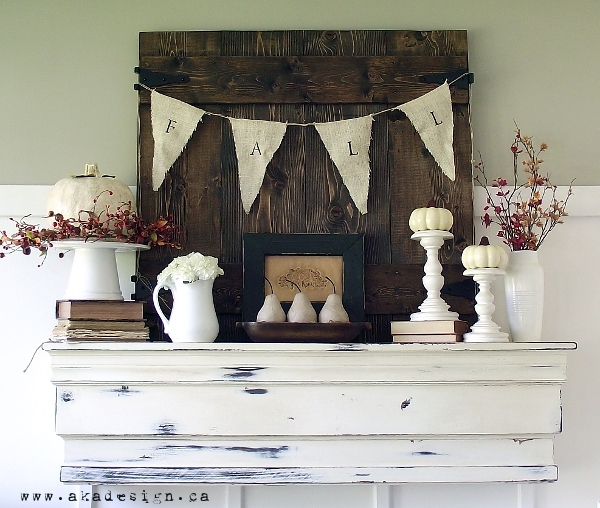 Love the burlap wreath and table runner. What great inspiration. I can’t wait for this series to begin. This has got to be my favorite time of year. Baking, cooking, the laughter, the family and friends and the smells. It makes me so happy!! Sounds like fun! I am looking forward to seeing all the creativity from these gals.